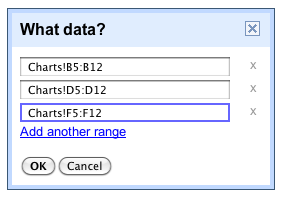 In charts, you are now able to graph multiple ranges. 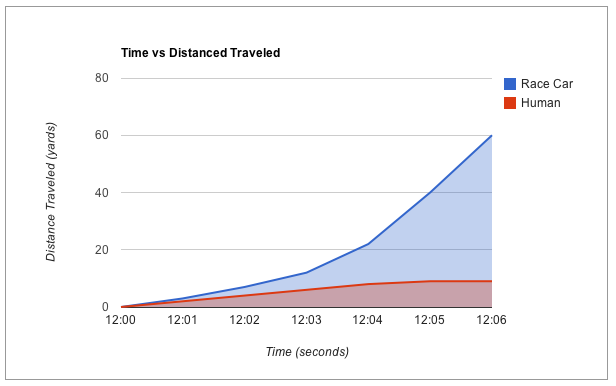 Take this chart depicting time vs distanced traveled. In this example, here is what the chart with the above data selected looks like. We’re also introducing the ability to hide your sheets. 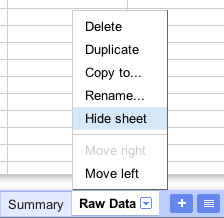 You can click on a sheet tab and select “hide sheet” to remove a sheet from view. The sheet can still be seen in the list of sheets and any editor can click on this sheet to bring this back to view. Sheets can also be accessed from the Hidden sheets option in the View menu. Learn more about sheet hiding here. We hope you enjoy these features, let us know what you think in the forums. Having control over what you can graph and which sheets you can see at any given time is important. 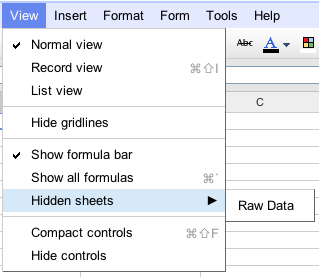 Today we added the ability to chart multiple ranges and hide sheets in Google spreadsheets.